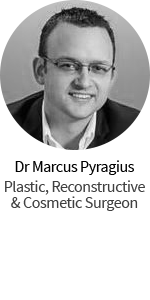 Trish: I’m here today with Dr. Allan Kalus from Avenue Plastic Surgery in Windsor here in Melbourne, Victoria. I’m just going to have a chat with Dr. Kalus today about facial rejuvenation, which is something I’m really passionate about because I’m at about that age where it starts to concern me. Thank you so much for taking the time to talk to us today. Dr. Kalus: It’s a great pleasure, Trish. Trish: Lovely. Being over 50, I’ve started to think, oh wow I need a bit of facial rejuvenation. 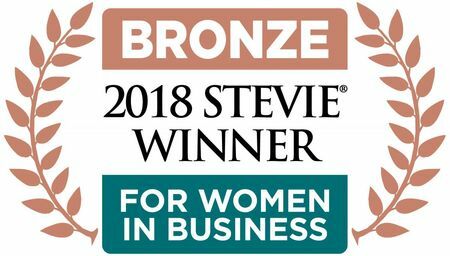 We do get a lot of inquiry from ladies that are my demographic, so I’d just like to have a bit of a chat to you about face lift, neck lift, anything that can be done to rejuvenate someone of my age who’s starting to think, I need something a bit more than just the old non-surgical injectables. Dr. Kalus: Trish, first thing I have to say is that you don’t need much at all. Dr. Kalus: The critical thing with any facial rejuvenation procedure, is that you don’t really want to look like you’ve had a face lift. 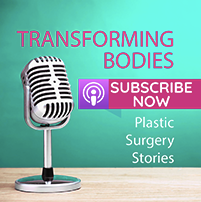 Dr. Kalus: You don’t want to look like you’ve had operations, that your skin looks tight. We’ve all seen people who have this windswept look where their face has been pushed back towards their ears, and it just looks so unnatural. You’re lucky, you’ve got very high cheekbones, you’ve got beautiful eyes, you’ve got lovely lips. These are the basic facial features that are so important. The only thing that people notice, they notice a little bit of sagging of the jowls, some excess skin of the neck. These are the things that we try to correct. One very good trick that I use in the consultation is that they take a hand mirror, sit in the chair and look down at the mirror. Looking down to the mirror, you’ll find that gravity will be pulling the skin downwards and you’ll see exactly how you are likely to look in 5 or 6 years time, and whether the the aging is affecting your jowls or your neck, or your eyelids. Then, by reversing the situation and looking up into the mirror, holding the mirror up into the sky and looking upwards, you will see exactly the result that a face lift would deliver for you. 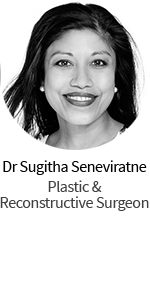 Dr. Kalus: I often suggest to women like you who are just starting to consider a facelift, that when that difference is significant for you, that’s the time to have it done. It also illustrates the different techniques that are used for facelift, because if you can just look up into the mirror and everything falls back naturally for you, you really don’t need a very extensive facelift. What a facelift normally involves – modern facelifts are really designed to minimise the scarring; to remove excess skin; to tighten the muscle – the muscle is called the SMAS (superficial muscular aponeurotic system), and some surgeons make a big deal of the SMAS. They say it has to be tightened in every case. Well, that’s probably true, although sometimes when we are operating on patients we find that most of the laxity is in the skin; sometimes there’s very little looseness of the muscles. But we always examine that, and where the muscles are loose we would tighten the muscle as well. What we aim to do is have the incisions of course so the scars are hidden just in front of the ear and just behind the ear. In that way we can do what’s called a minimal access facial lift. The operation again, can be done as a day case very often. Takes about a week to recover. The first couple of days you’ll have a bandage around your face, then after that you can often go out just wearing a scarf. Lots of ladies go out for coffee and so on by their third or fourth day, and at the end of the first week the stitches are usually removed and you’re looking pretty normal again. Starting work between 7 and 14 days is probably reasonable for most people. Trish: Time to grow it? Dr. Kalus: Time to either grow it, or you might just like to wear a scarf, just for that period while the scars are healing. Anyone with longer hair we can easily hide the scars behind the ears and in the hairline. The other thing about a facelift, or about facial rejuvenation, is that it’s not just about tightening the skin. That’s really the old way of doing it. These days we recognise that volume is very important. As we age, the face tends to lose volume. The fat diminishes, even the bones lose volume. The way that I like to replace the volume, again, is to use your own fat. Take some fat from your tummy or thighs and inject it into the lips, the nasolabial grooves, the cheeks, the temples. Lots of places we can inject the fat. By doing that, it’s a little like a party balloon that’s deflated in the morning and it’s all wrinkled and you blow it up to get rid of the wrinkles. So by adding volume to the face, we can really make the face look a lot more youthful. That’s a very, very important part of facial rejuvenation. 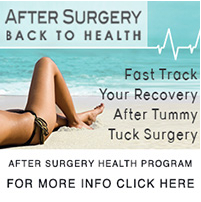 For many women these days, we find just doing the fat transfer is enough to tide them over for a year or two. We might do that together with removing some excess eyelid skin, and then later on they may need some skin tightening as well. Trish: With the fat transfer, or actually with the whole procedure, how long would that actually take in operation? Dr. Kalus: The operative time varies with different surgeons and depending on how much is done. A surgeon who is doing a lot of these procedures, whose very competent, could probably do the operation in 2 to 3 hours. Dr. Kalus: That makes it quite a safe operation. It can be done as a day case, again. Although some people prefer to spend a day or two in hospital, but it’s quite conceivable to do the operation as a day case. Trish: All right, so you’re going to be out of action, no one can see you for about a week, might be a couple of weeks before the swelling goes down? Then you’re ready to take on the world again. Trish: Lovely, thank you so much. Thank you so much for taking the time today. Dr. Kalus: Thank you, Trish. Pleasure. 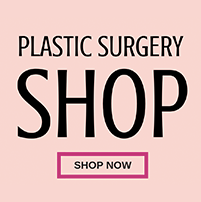 Trish: If you’re interested in seeing Dr. Kalus, as I said it’s the Avenue Plastic Surgery at Windsor, or you can drop us an email at info@plasticsurgeryhub.com.au.